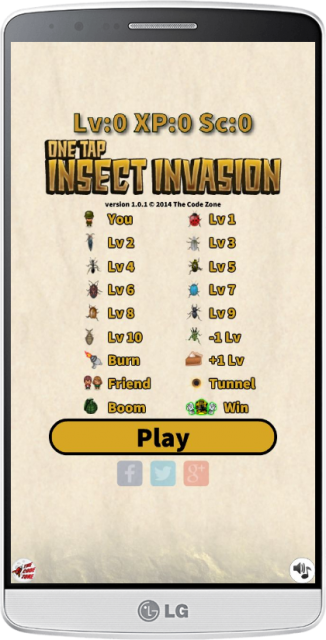 The Code Zone - One Tap Insect Invasion! 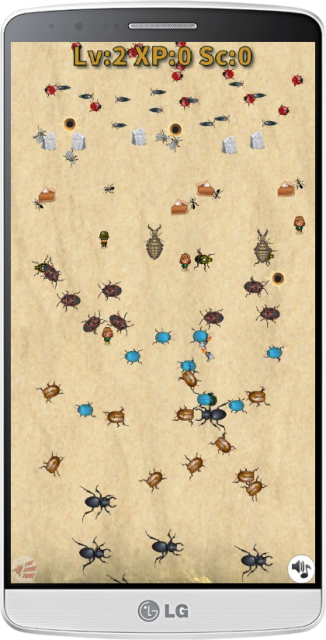 The nuclear reactor has gone crazy, and giant radioactive insects are roaming the desert! 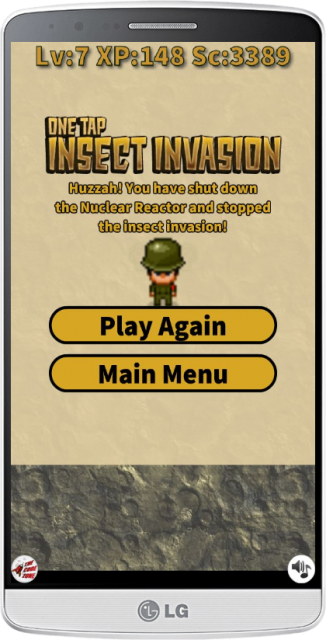 Can you, a humble soldier, make it through the armies of giant insects and shut down the reactor? 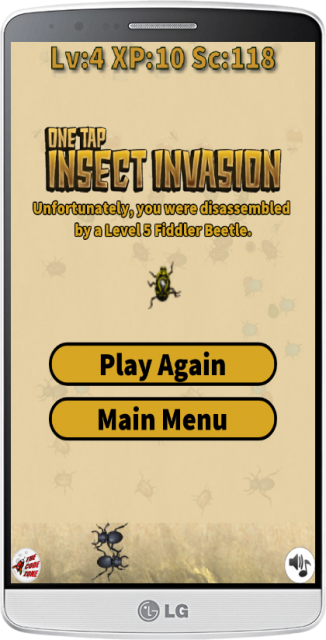 Oh, and you also have to do it with only one tap! 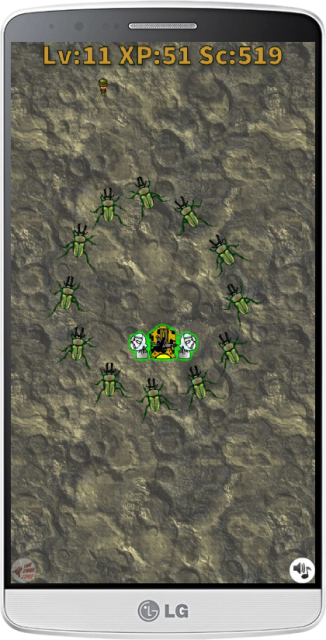 Good luck soldier!